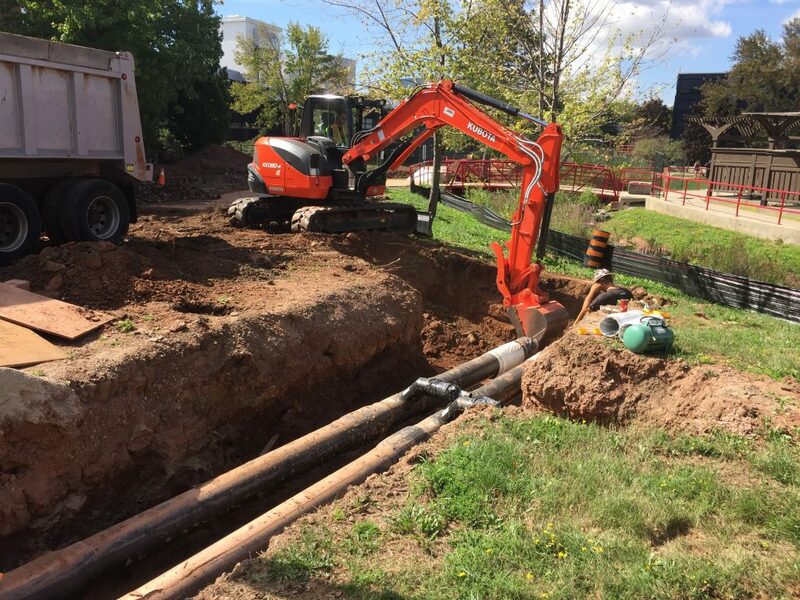 The Facilities Services department and the Office for Sustainability of Sheridan College have begun construction on Phase One of its new district heating and cooling system at the Trafalgar campus. There are currently six boiler plants, spread across the campus that provides heat to each building on campus. This configuration leads to inefficient distribution of heating and cooling. Boilers and chillers that are too large relative to the loads they serve turn on for a moment then off again, wasting energy in the process. The ultimate goal of the project is to move beyond these wasteful and outdated energy practices, by introducing a new system that will centralize all of the college’s mechanical equipment into one location. You can think of CHP essentially as engines that produce electricity. 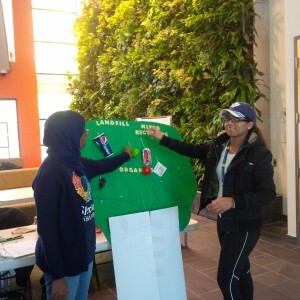 This new district energy system is meant to help conserve energy while being as efficient as possible. This is embodied by how the CHP reuses any energy rejected by the plant, cycling excess heat produced back into the network of pipes. The first phase is to install piping throughout the exterior parts of the campus. “The piping is actually a cool piece of technology. The steel portion has thinner walls compared to typical Canadian piping. It’s very durable, it is incased in plastic with foam surrounding the pipe, it comes pre-insulated and there is an integrated leak detection system,” Rinas said. 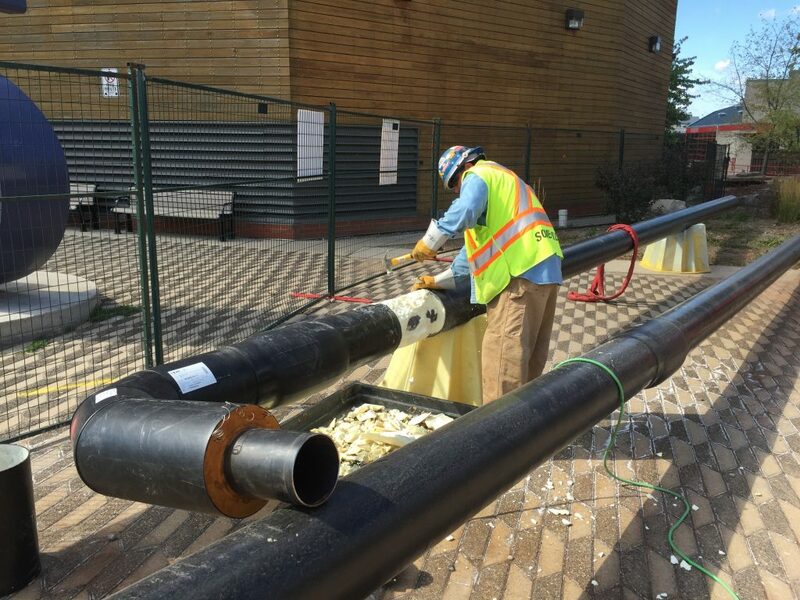 Sheridan will be the first post-secondary institution in Ontario to use this network of piping for a District Energy System. The “network” is similar to a telephone or fiber line. It will be the supply and return lines for the super heated water running through the system. Campus heating water is currently supplied to buildings at 170-180 degrees Fahrenheit and returns to the plant about 20 degrees Fahrenheit cooler. With the new system in place, the water will be supplied at temperatures close to 212 degrees F, with return water as much as 50 degrees F cooler. This super heated water will run through the primary pipes, while the secondary loop will have cooler temperatures, feeding all of the terminal devices on the campus. It’s a closed loop circuit, so the water is pumped into the system only once, staying in the pipes for very long periods of time, reducing any wasteful water usage. With this first step already underway, Sheridan hopes to become one of the most energy efficient institutions in the country. Construction of the first phase is expected to be done before Christmas break.